I have been battling with weight gain and loss for as long as I can remember. Just when I was giving up and switching gears to just being comfortable with myself, as I was, life presented me with a situation that could put me within the public eye. I stood in front of the mirror at 169 pounds and made a definitive decision that this was not who I was and this is not who I wanted others to see. I began a personal diet and exercise regime and was able to lose 10 pounds on my own but it was so hard to be thinking about food all the time and the weight was not coming off consistently. I would lose 2 pounds and then gain 1 back. I decided to seek help and found the Delight Medical Center in a random internet search for a Dr’s office near my work. I am so glad that I did! 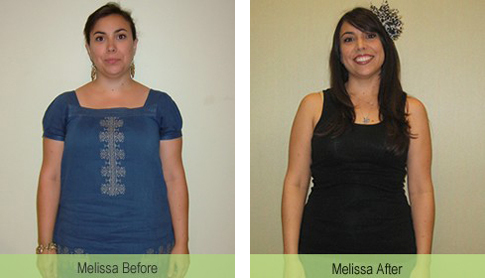 Melissa After Weight Loss Dr. Kerendian and his amazing staff have become some of my greatest friends. They are my personal cheerleaders! Dr. K designed a plan for me that was simple and worked comfortably into my current lifestyle. When I was reaching a plateau, he changed it up and I was back on track. It was so easy, no thinking involved and the weight came off consistently over that past year. I am now 124 pounds! I lost 35 pounds with the help of the Delight Medical Center and I feel so confident about the image that I see staring back at me in the mirror. This is me! Thank you Dr. Kerendian and Staff!